With over 10+ years of digital marketing experience in the hospitality industry, we have tried out all sorts of marketing and realized through experience that TripAdvisor is the largest travel marketing channel for any hospitality business . We focused on training and streamlining our efforts to improve our client’s customer service, guest experience and social presence by using TripAdvsior and through this course we wanted to share those successful tips with hotels , tour operators, travel agents , attractions , restaurants , airbnb hosts , resorts and bed and breakfasts as well as other hospitality businesses from any part of the world. 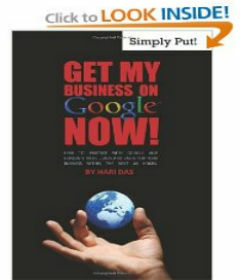 How to use TripAdvisor to grow your travel business is a step by step guide on how I used TripAdvisor to grow and market the businesses of hotels , tour operators, resorts and bed and breakfasts as well as other hospitality businesses. 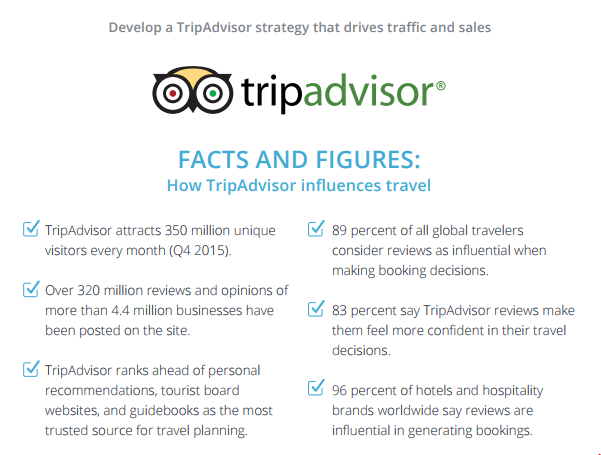 TripAdvisor is the largest online travel community in the world, reaching nearly 455 million unique monthly visitors**, and more than 570 million reviews and opinions covering more than 7 million accommodation, restaurants and attractions which operates in 42 countries worldwide, including China. There are lot of services that are being offered for travel companies like SEO , using Facebook, Twitter, Pinterest and other social media . However there are very few service providers who guide Travel Companies on using TripAdvisor the right way. We will review your TripAdvisor account and provide you with an action plan to increase traffic and increasing conversions without violating any TripAdvisor guidelines and this service will be useful to anyone who is in travel industry including hotels, bed and breakfast, tour operators, digital marketing departments of travel companies .